These days, there’s almost no limit to what digital media can do. New platforms are developed each year, along with new strategies that allow brands to form connections with different types of audiences. But as the digital landscape continues to evolve and change the way we market and sell, brands are constantly faced with new and unexpected challenges. 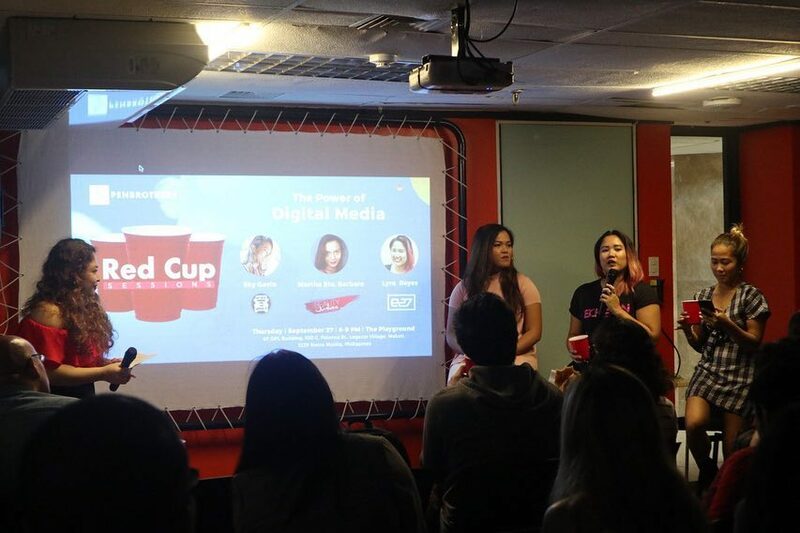 “Digital media is powerful, but it is extremely fast-paced, so you have to learn to keep up,” When In Manila’s Sky Gavin said during the Red Cup Sessions held at Penbrothers last September 27. For Gavin, “keeping up” doesn’t mean having to constantly reinvent the wheel. When it comes to starting a successful online business, she emphasized the importance of finding your niche, having accountability in everything that you post, and knowing the right time to fire your content. Amidst fresh ideas and shifting trends, these are the things that must never be compromised. Martha Sta. Barbara of The Beauty Junkee also encouraged brands and content creators to strike a balance between being adaptable and staying true to your brand. “Have a brand mindset, and know who and what you are,” she said. However, that doesn’t mean you should abandon writing and shift entirely to video just for the sake of it. “Don’t try to do whatever’s trendy at the moment. Have a strong brand mindset and continue making the kind of content you enjoy,” she adds. Both Gavin and Sta. Barbara advocate the creation of truthful content that is fired at the right time, and to the right people. They also challenged their audiences to forget about “going viral,” as this is not the best start-off point for any kind of digital campaign. Lyra Reyes of e27 also added that it’s better to market to a smaller but more engaged audience, instead of going viral to the wrong set of people. Learn more about the Red Cup Sessions through Penbrothers.